When using traditional mop and buckets, chemicals are predominantly dumped into buckets using the glug method, basically making dilution rates that include far too much chemical and high levels of water waste, according to Scot Young Research (SYR). CLARITY-The Soap Cọ. is delighted to be supplying the London theatres of the internationally famous Nederlander Organisation with its new BECỌ Wild Berries foaming hand wash and CLARITY eco washing up liquid. Genesis Biosciences has announced the launch of its new online shop, meaning its innovative cleaning products are now available in just a few clicks. Leading manufacturer of cleaning technology Kärcher is using the Technyl 4earth high-quality environmental solution from Solvay Performance Polyamides. Due to the rise in demand for environmentally conscious products and packaging, Jangro, the UK and Ireland’s largest network of independent janitorial distributors, is now offering its national account customers the latest sustainability innovations as a core benefit. Visitors to the Cromwell Polythene stand (5P32) at RWM 2018 had the opportunity to obtain a sample black refuse sack from its newly improved LowCO2t range. RPC bpi recycled products has given a major boost to UK recycling and sustainability by acquiring a UK-leading recycler of rigid plastics, PLASgran Ltd.
Award winning environmentally-responsible cleaning products manufacturer Genesis Biosciences has launched its products to the consumer market – in a bid to help tackle public health concerns caused by volatile organic compounds in cleaners. Cromwell Polythene, one of the UK’s leading suppliers of sacks, bags and speciality products for the storage and collection of waste and recyclables, is showcasing its extensive portfolio at RWM 2018 (Stand 5P32). ecgo® Exterior Surface Cleaner is an efficient, high performance cleaner based on the latest intelligent fluids® technology. The Evolution TM from U.S. Products was designed for the truckmount user. Two well-known and documented factors exist in carpet maintenance. 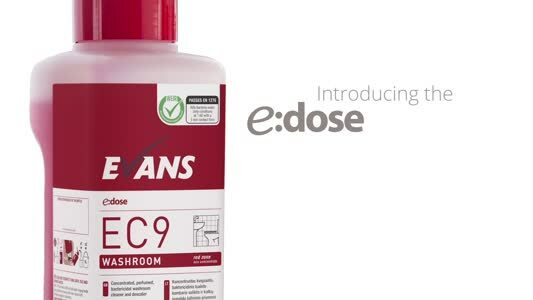 Based on intelligent fluids® technology ecgo® Floor Cleaner is an efficient, high performance cleaner developed to thoroughly clean all floor surfaces, leaving surfaces not only clean, but also dirt repellent. The Evotex brand is a premium range of roll towel, centre feeds and dispenser toilet tissue that delivers excellent performance. HydraDri High Performance Powdered Truckmount Carpet Extraction Detergent HydraDri is an ultra-concentrated, heavy duty extraction detergent especially formulated to work at cleaning temperatures associated with truckmounts and heated portable extractors. The ecoroll brand offers a wide range of products made from soft quality 100% recycled tissue. Enov Multifold Luxury Hand Towels let you pamper your guests, tenants and customers with the ultimate in luxury. JAWS plastic bottles & sprayers are designed to be re-used over and over.